A major celebration of Ireland’s ocean wealth will take place this weekend in Ringaskiddy. A two day event, July 10th (Friday) and 11th (Saturday) , is planned for Ringaskiddy and Haulbowline in association with The Marine Institute, the Beaufort Building, the National Maritime College of Ireland, NMCI Services , IMERC and the Irish Naval Service. The event is an initiative of Ireland’s Integrated Marine Plan – Harnessing Our Ocean Wealth. It will build on the first annual “Our Ocean Wealth Conference” which took place in Dublin Castle last July. The event was attended by over 500 delegates. This year the organisers hope to attract a wider audience over the two day event which will include a conference, marine technology expo, investor events, workshops, a seafood festival, a family fun day, and competitions. By broadening its scope to include a range of activities open to families as well as businesses and potential investors, the event aims to highlight the social, cultural and economic benefits of Ireland’s marine sector and provide a platform for public engagement with Ireland’s marine resources. With trade fairs, an Oceanic Experience, Mega Yachts and tours of Haulbowline, NMCI & the Beaufort building it’s definitely a date for the diary. Saturday, July 11th from 10am – 6pm, is the family fun day where visitors can “Captain” their own ship in the NMCI Simulators, experience the BIM Beaufort Scale Hurricane , tour naval ships, or why not enjoy the RNLI duck race. Other events will include carnival games and seafaring family fun, Irish Naval Service manoeuvres, a magnificant parade of sail with stunning mega yachts, lectures and exhibits on marine life, an appearance by Black John, the Bogus Pirate and all manner of festival entertainment for every age group. For the full program then click here. Wondering how you can travel to SeaFest? There will be a ferry service operated by the Naval Service from the Naval Pier in Cobh to Haulbowline on Saturday 11th July from 10am departing every hour until 5pm. Return ferry from Haulbowline to Cobh will leave from 11am departing every hour until 6pm. For further information regarding this spectacular event keep an eye out on the NMCI Services blog over here where we will keep you updated on developments or why not check out the official conference website by clicking here. 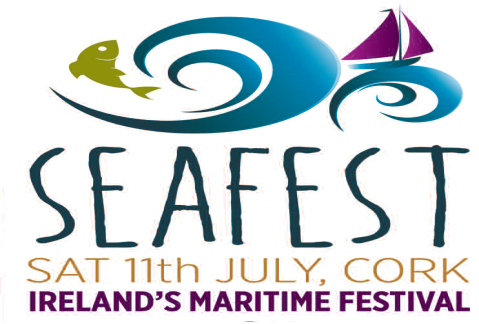 Remember to use the hashtag “#SeaFest” on twitter and to follow them by clicking here. Sum of 7 + 8 ?